On the lowest floor of Kluuvi kauppakeskus you find the organic fast food restaurant Armas Pikaruokala. And don’t let the word fast food scare you away. The only reason why it is suitable here is because the kitchen is really fast. You can choose from a whole list of delicious meals that range between 7 and 10 Euros. And believe me you get your money’s worth. The stuff you get here is not just organic but also damn tasty. And the portions are big enough to keep your hunger away for quite a while. Coffee and several flavors of tea are included in the meal. And for very little extra money you can get home backed cookies and other pastry. 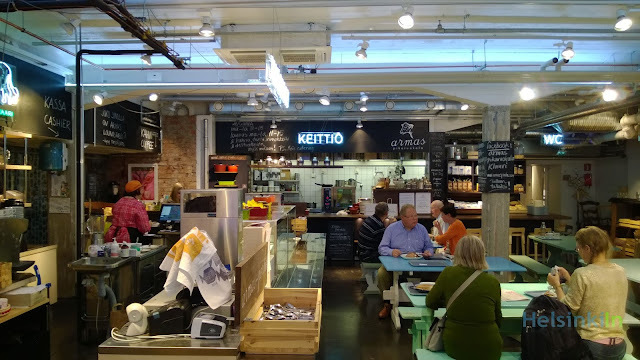 After your meal at Armas Pikaruokala take a few minutes to stroll through the organic supermarket Eat&Joy Maatilatori. They have a wide selection of local and ecological products. Both places are worth a visit. Enjoy! That price sounds really good for organic food. Gotta keep in mind about this place. 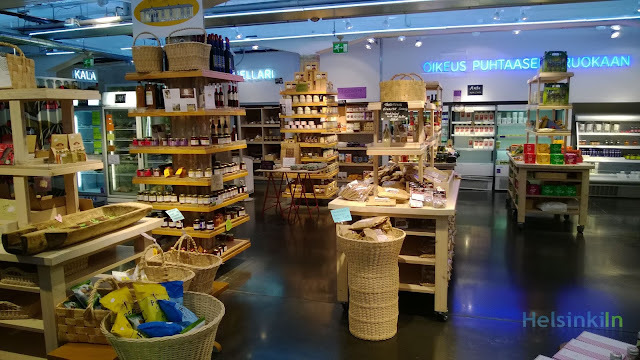 I actually never visited Kluuvi cuz I thought they are all expensive stuff.